Nero becomes rarer on PCs yet it manages to reinvent itself by adding features that turn it into something much more than a mere burning software program. 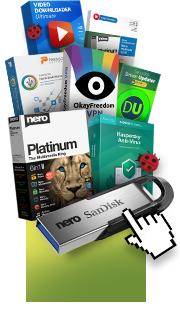 Nero Video is a large video editing package that brings Ultra 4K video editing to the desktop and video streaming to mobile devices effectively. For working with the latest video standards, you cannot go too far wrong with Nero Video. "Nero Burning ROM offers you the most advanced disc burning solution." Nero 2016 - Very Good! "For anyone that converts a lot of files or wants to create and edit videos with a program that is not too complex or if you are looking for a media browser with lots of customizable features then Nero 2016 is definitely worth checking out, it is packed full of great features, is easy to use and looks good too." "A media player, file converter and video editing suite among many other great features." If you have a CD drive, we recommend using the 'old ways' and periodically burning the photos and movies that matter to you on DVDs to enhance the backing up solutions provided by the more costly and the more hacking and identity theft susceptible cloud solutions. "Nero 11 appears to be a winner." The new Nero 11 with the most SECURE burning features, most convenient video editing and fastest film conversion. Computer Hoy, Spain awards Nero Multimedia Suite 10 with "Golden Computer 2010"
Nero Multimedia Suite 10 receives 5-star award from SoftwareCrew (UK)!